Have a ball, be a ball with Bright Lights LED BBop Balls. Step inside a colorful, confetti filled ball and let the full body fun begin! 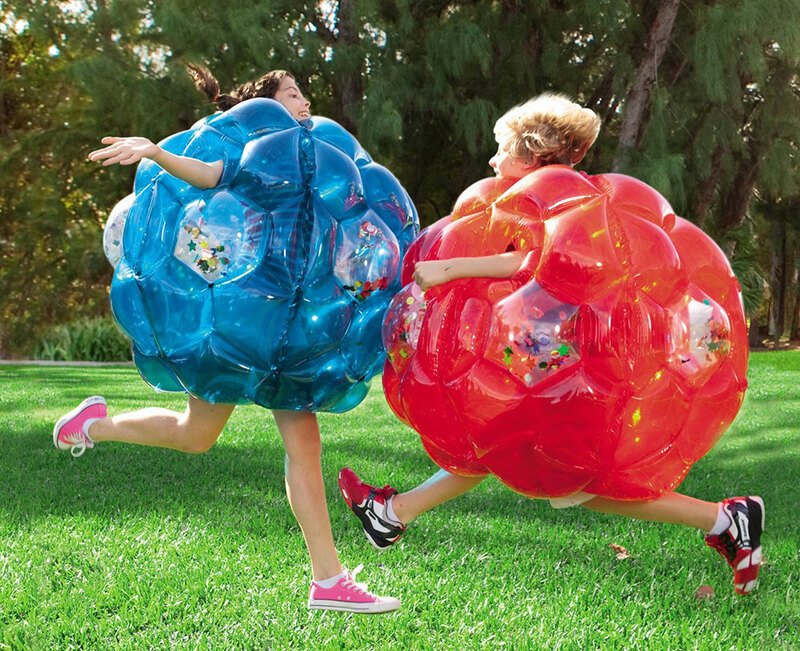 The more kids run and bump other kids in a BBOP Ball, the more the colorful foil confetti light up like starbursts. Roll, race, bump and run for endless energetic play. 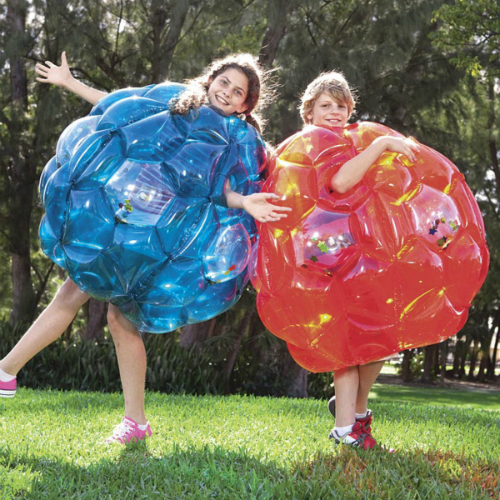 Set includes 1 red and 1 blue BBOP balls. Inflation required. Inflated size: approx. 36" diameter. Measures approximately: 13.00 x 12.75 x 7.00 inches..